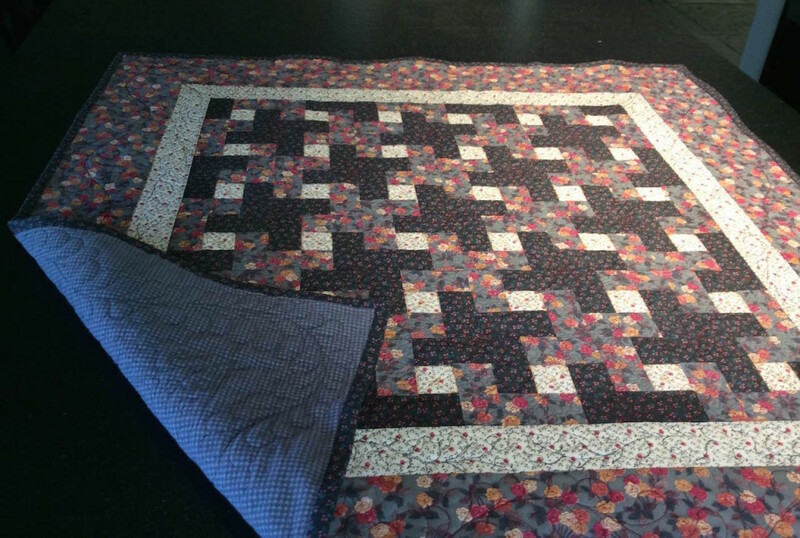 Finished this quilt today. That’s one UFO off the list and some decent practice refreshing my machine quilting skills, and boy oh boy were they rusty! I’d never attempted a freehand free-motion feather border before. Will be doing more of that. On to the next UFO + Stash-busting project, a top I cut out a few months ago.